The influx in technology has made everything far more accessible. Things that were only skills passed down from one person to another have become far easier to obtain today and trying a hijab is not as difficult as it used to be. In fact now there are so many different styles available that it is now much easier for hijabs to be tied in unique and interesting ways. 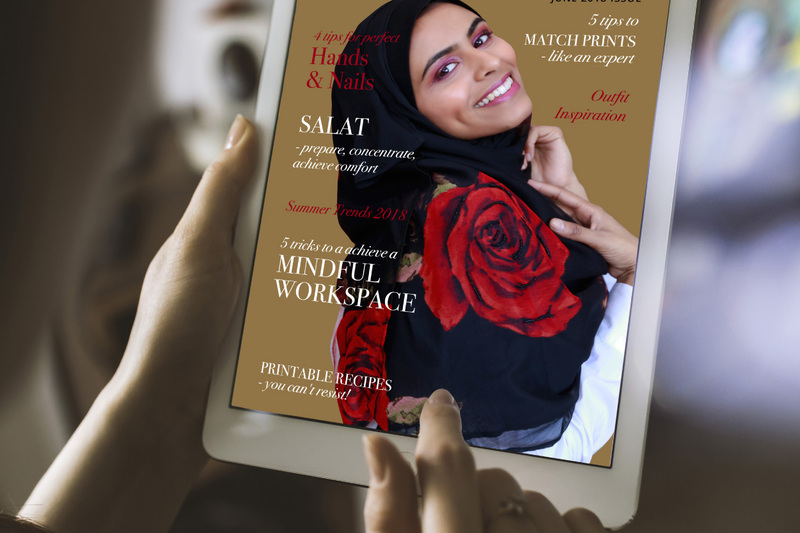 Matching hijabs to different outfits along with color schemes and designs are easier and mobile application scan now provide a lot of services that makes getting a sense of fashion regarding hijabs far easier. Before buying a hijab, check the following is a list of free mobile applications that can help you understand the nuances of fashion since the hijab is not the most typical of attires and its fashion is difficult to understand and implement as well. Hijab Fashion 2018: This application is one of the best ones available on the google play store today. It allows women to be aware of the latest trends of fashion and matching styles as well. This application has different services that differentiate it from other applications available in the market. For example it allows you to zoom into different models. The women using this application can see how certain styles will look on them. The hijab, scarf and shawl models are all selected for the individual at the same time. Along with that, this application offers many tutorials at the same time as well. For example, telling you how to tie your hijab in a certain way and showing new and amazing fashion trends to those individuals. These tutorials help the user understand what looks good on what as well. Girls who like to try new types of hijabs as well are at an advantage too. This application is always updated with new styles, fashion trends, as well as types of hijab. Hijab trend models get regularly updated too and step by step guides are available to make the entire process easier. Featuring a wide selection of headwear for women including pinless scarves, pashmina, hijabs and turbans. 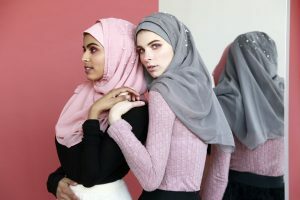 Hijab Fashion Suit: Before you buy a hijab, you would obviously want to know whether you can pull it off well and whether it looks good on you since things like facial structure and skin tone matter. If you go to a shop and buy it for yourself it can be easy since you can try it on. However, it is difficult if you are buying it online so without having to risk buying something and spending money on something that does not look good in the end. This application helps prevent that. It is extremely easy to use and all you need is a photo which you can take in app or select from the gallery. Your face within the selected picture will fit into the large amount of hijab frames that are present for you to use. Scale up and zooming it obviously present and every single frame is in particularly high HD quality. You can then save the photo and even share it on your social media. Hijab Styles Step by Step: Sometimes you might want to try something newer and better when it comes to wearing the hijab of your choice. You do not want to keep wearing the same style over and over so in this case you will need an application that will allow you to adopt new styles. This application has a large amount of hijab styles present and each of them have their own step by step guide attached with pictures. Featuring a wide variety of styles that can be used with scarves, and featuring single piece hijab styled, pinned styles and several others as well. Here you can find a style that works well for you in terms of comfort, practicality and durability etc. Hijab Outfit Ideas: Ideas for outfits that you want to use with hijabs is difficult. Finding new outfits can be daunting however, this application makes it easy. It provides the latest trends in hijab related fashion with celebrity styles, runway trends and even suggestions for different outfits and what outfit to use with which hijab. Dina is a hijabi consultant at Bokitta. She loves traveling and is always excited to mix and match different textiles and styles to find the trendiest hijab fashion. Dina shares her modest yet modern outfit twist with Muslim women from all over the world! Next Next post: I Want to Change My WiFi Password. What Should I Do?